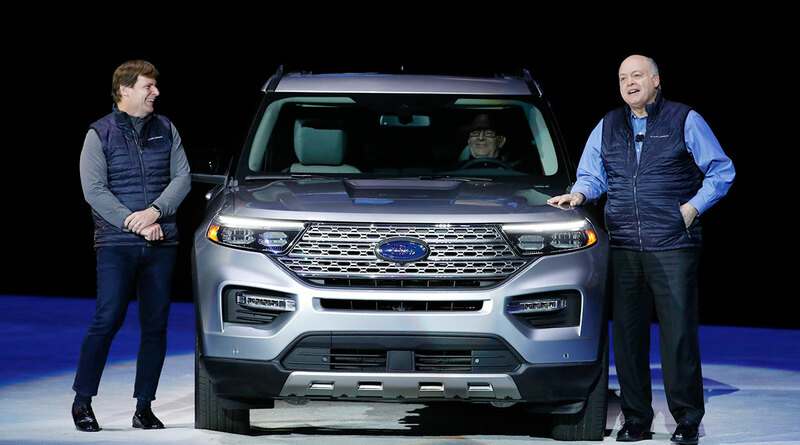 Ford Motor Co. is investing $1 billion in two Chicago factories and hiring 500 workers to expand its ability to crank out high-profit sport utility vehicles, including its new Explorer. Chicago Mayor Rahm Emanuel and Joe Hinrichs, Ford’s president of global operations, made the announcement Feb. 7 at the Chicago Auto Show. The investment in the assembly and stamping plants fulfills an obligation the company made in its 2015 contract with the United Auto Workers. Ford is set to bargain a new pact with the union later this year. Ford is killing off its slow-selling sedans in the U.S. and betting big on the SUVs and trucks that generate most of its profit. Other American manufacturers also are closing plants and cutting shifts at auto factories as consumers — driven by cheap gas and a love of the large — are shunning traditional cars. Ford CEO Jim Hackett is trying to capitalize on this trend as he engineers an $11 billion overhaul. Ford’s 95-year-old Chicago assembly plant and 63-year-old stamping plant — which also will build the Lincoln Aviator and Police Interceptor Utility — are being updated with advanced manufacturing technology. The company’s investment also includes training at the factories that employ 5,800 workers. Ford is spending $40 million to upgrade lighting and add security at the plants, where some employees have experienced a history of sexual and racial harassment. In August 2017, the company agreed to pay as much as $10.1 million to settle claims following an investigation by the Equal Employment Opportunity Commission. The Dearborn, Mich.-based company faced similar charges at the factories that led to a $17.5 million settlement in 1999.